I’m feeling like a rockstar, wearing a silly costume and walking through crowds of screaming people. But they’re not interested in me, just my plastic beads, which I’m throwing to whoever shouts the loudest. 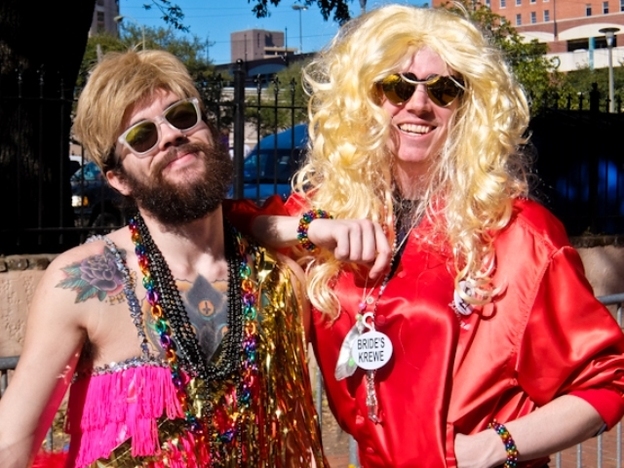 Welcome to Mardi Gras in Mobile. Mardi Gras sounds exotic but it actually means “Fat Tuesday” in French, known as Shrove Tuesday in English, and it’s the day before the start of Lent. The idea is that you get the fun out of the way before the long month of fasting and it was very much part of the Christian Calendar in Europe. 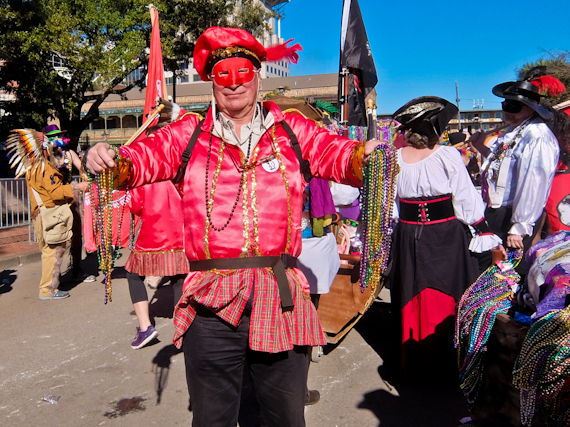 French settlers arrived in this region and established Fort Louis de la Mobile in 1702 and celebrated Mardi Gras in 1703, 15 years earlier than the more famous one down the road in New Orleans. 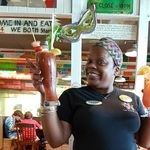 Mardi Gras in Mobile Alabama is an altogether more sedate affair than its counterpart and is very much a family occasion. 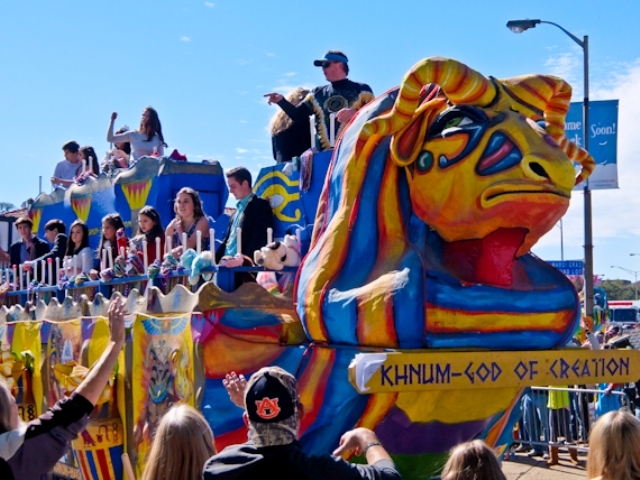 Carnival gets going either in January or February, depending on the date of Easter, and parades are held on 19 consecutive days leading up to culmination of Fat Tuesday. They’re organised by Mystic Societies or Krewes, whose members’ identities are meant to be kept secret behind their masks. 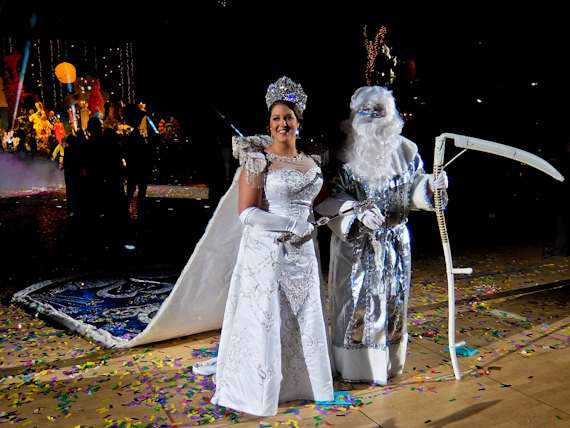 Lavish balls are usually held after the parades, and men are required to don white tie and tails and women wear floor length gowns. They are strictly invitation only, although they are always keen to invite newcomers, and boast an attendance of over 100,000 every year. 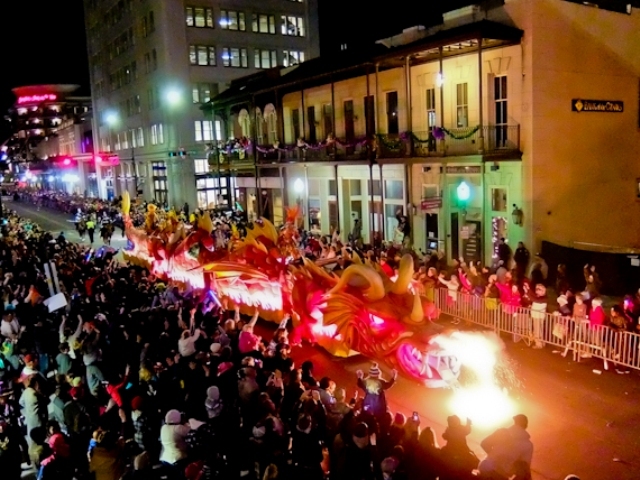 The parades attract over a million to Mobile so it’s a big money spinner. Luckily, I get my first taste of a parade when I’m invited to watch the Mystics of Time from the terrace of the Battlehouse Hotel. The group formed in 1948 and put on one of the most spectacular shows. Streets are closed off, the crowds corralled behind steel barricade, waiting in anticipation. Mounted police lead the way and then it’s a procession of around 20 floats, the first being a gigantic fire and smoke breathing dragon, and then her dragon children Verna and Dean. Revellers on the floats throw strings of beads, moon pies, cuddly toys, even chocolate doubloons at an expectant crowd, desperate to catch these. They’re difficult to avoid and, even from my lofty position I get a moon pie in my eye, still wrapped in plastic. Later I see families with supermarket trollies piled high with loads of swag, and apparently you can exchange the beads for doughnuts at Krispy Kreme store. High school and marching bands fill the gaps between the floats, complete with sparsely clad dancing girls. After the Parade I’m invited to the Mystics of Time Ball, just me and 5000 others, cramming the Convention Centre. Of course I’ve hired my white tie and tails specially and a stretch limo takes me to the event. In the main hall, the evening kicks off with the Coronation of the Queen, complete with throne room, crystal chandeliers, lavish costumes, and gold lame draperies. After the entrance of knights and ladies-in-waiting, The Queen arrives, dressed in a sparkling gown, covered with ermine, dragging a magnificent embroidered train. She circles the room and then kneels to be crowned. That’s the signal for festivities to begin and with unlimited food and drink and five bands playing in different venues, it’s certainly a night to remember. 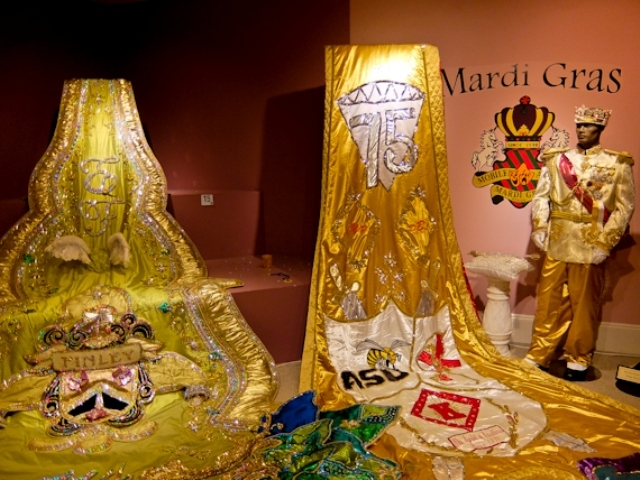 The Mobile Carnival Museum, housed in a downtown historic mansion is well worth a visit and documents the history of the event using old photographs, original Mardi Gras, posters and ball invitations. You can’t miss the stunningly over-the- collection of gowns, trains, and jewels worn by the queens of Carnival. Also on display is the attire of a 1920s flapper queen, as well as costumes of several jesters of well-known parading societies. I get to attend a few more parades, not just in Mobile but also out of town. In the pretty little town of Fairhope I experience the Order of the Mystic Magnolias Parade which is put on by an all-female Krewe. There’s even a boat parade which I watch from the safety of LuLu’s in Gulf Shores, suitably refreshed. For my money, though the best is the Joe Cain Parade which is open to the public and I’ve got a place in the procession. Joe Cain is a local hero who fought on the Confederate side during the Civil War and revived Mardi Gras in Mobile singlehandedly in 1866, during the Northern occupation. His procession involves people dressed as his Merry Widows, as well as his Merry Mistresses and is led by someone dressed as Chief Slackabamarinico. I’m wearing a suitably silly costume and am armed with armfuls of plastic beads. A group of pirates pulls a trailer full of extra ammunition and I soon get the hang of throwing the beads. I try to aim for kids, but often end up hitting people smack in the eye. However there’s a look of radiant satisfaction as people collect my cheap plastic necklaces and it’s hard not feel a warm glow of human kindness. I imagine it’s the same feeling that the first settlers got when they traded beads with the natives. 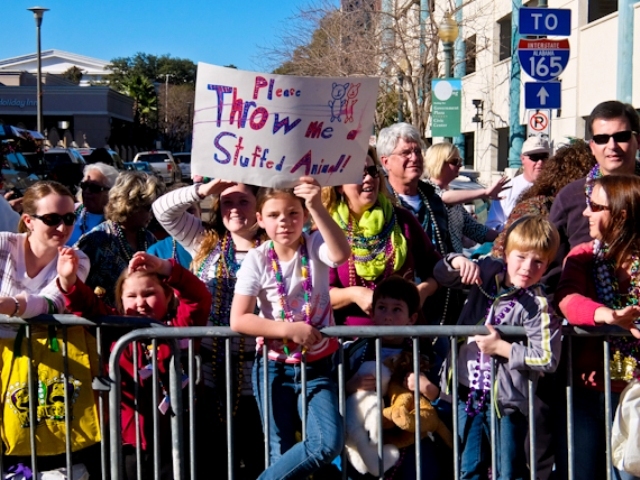 The 2017 Mardi Gras in Mobile parades start on February 17 and run until Fat Tuesday, on February 28. The Mobile Mask has the revellers’ guide to Mardi Gras. The Battlehouse Hotel makes a good base and has a balcony where you can watch the parades go by. The Spot of Tea serves breakfast and lunch. 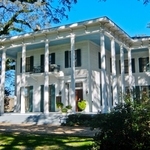 Dauphin’s Restaurant serves French Creole food and has fine views over the bay. The Dumbwaiter Restaurant serves southern classics with a modern twist. Alabama Travel has tourist information. British Airways, with American Airlines, flies Mobile via Dallas. 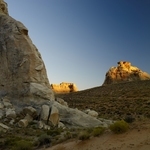 For more features on Alabama click here for Rupert’s stories on Alabama’s civil rights movement and his guide to what to do and see in Alabama.